Dental Arts of San Diego is a full-service dental practice that offers general dentistry and cosmetic dentistry as well. The wide range of services offered include emergency services like root canals, crowns and bridges, Lumineers, Invisalign, dental implants, periodontal treatments, bone grafting, treatments for sleep apnea and much more. 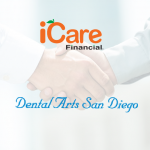 Dental Arts of San Diego has found that offering iCare Financial as an alternative payment method has dramatically raised treatment acceptance rates. They are able to retain patients who otherwise may simply not have been able to proceed with their treatments. The practice’s owner is Dr. Alena Nawrocki. Dr. Nawrocki received her dental degree from Minsk Medical University in 1999 and then her Doctorate of Dental Surgery from Loma Linda University in 2006. Jessica Wiegers is the Office Manager at Dental Arts of San Diego. Her favorite part of dentistry is interacting with patients and helping them overcome financial obstacles so that they can achieve their most optimal smile. 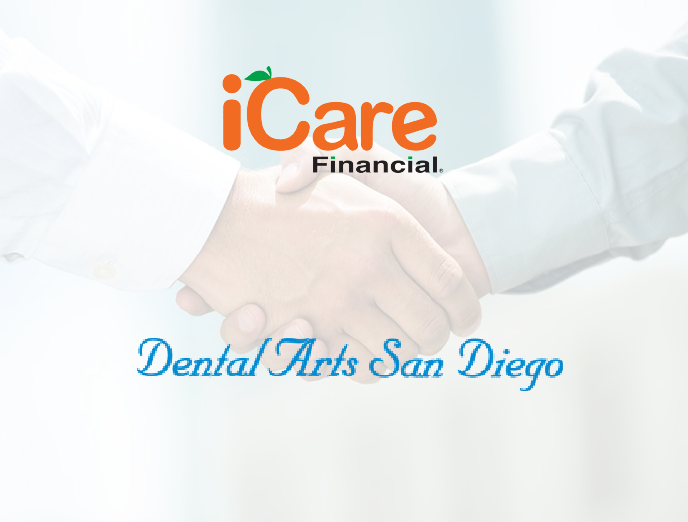 About one year ago, Dental Arts of San Diego began offering iCare Financial as a payment option for patients. Initially, the doctor had a flyer and thought it looked interesting. She reached out to iCare Financial to see if their payment plans would be a good fit. One of the primary factors that drew Dr. Nawrocki and Jessica to this option was that they liked the fact that, unlike Care Credit, no credit check is necessary to use it. Currently, Jessica is presenting two options to patients who are looking to pay for their treatments plans, namely, Care Credit and iCare Financial and. She explains to patients that the first option has a zero down policy and you can make monthly payments. On the other hand, iCare Financial has no credit check, 30% down and then monthly payments. In some cases, of course, patients are not approved for Care Credit. In that situation, Jessica is able to immediately reassure them that there is another option. She sees their facial expressions switch from stressed to relieved. “Patients know that you are trying to do something for them. They don’t feel that you are just leaving them high and dry with no available options,” pointed out Jessica. Many patients would have been lost without having flexible payment options. They would have had to proceed with no treatments or limited treatments. For example, using iCare Financial as a payment option might allow Dr. Nawrocki to proceed with a bridge or implant, where otherwise the patient’s financial status would have left no possibility other than an extraction. They can now treat the whole issue and not just do something immediate. In one year, Dental Arts of San Diego has had 44 cases with iCare Financial with a gross total of over $85,000.